Your Rowan County Public Library is proud to offer desktop computer stations for public use, as well as laptop computers for in-house use by adult cardholders (over 18 years of age). We also offer free WiFi to the public, and welcome the use of patrons’ personal computers in the library! To use our network, refresh your network list or perform a network search on your device, and connect to “RCPL Free WiFi.” You may want to select the “connect automatically” option if it’s available, so that you can skip this step on future visits. Feel free to ask for technology assistance from any library staff member, if you need help. Children under 18 who wish to access our juvenile or teen computer area must have a parent or guardian sign a computer permission form. WiFi hotspots are available for checkout to adult patrons (over 18 years of age) who live within the signal radius of local cellular towers. A hotspot is a mobile WiFi device that connects to a network like a cell phone, and provides wireless Internet access to devices nearby. You can use them for your smartphone, tablet, laptop, game console, and more! To borrow a hotspot, you’ll need to have a hotspot borrowing agreement on file, which is available upon request at the front circulation desk. Because hotspots are so popular and are always in demand, we do not keep these devices on the shelf for normal checkout; you’ll have to make a reservation and wait in line (sorry!). When a hotspot becomes available for you, you’ll receive a notice by phone, email, text, or some combination of the three, after which you’ll have three (3) days to pick up your device. RCPL loans hotspots for seven (7) days, and patrons are responsible for lost, damaged, or destroyed devices and cases. 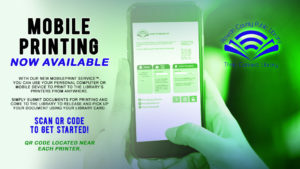 Please make sure to return your hotspot on time at the front circulation desk or through our materials drop in the rear drive-through, so that you don’t get stuck with a fine! 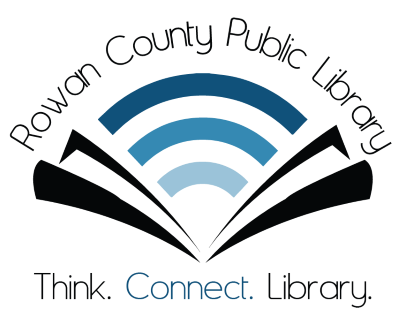 Disclaimer: Internet access provided through a WiFi hotspot is not filtered or monitored by the Rowan County Public Library. Patrons are liable for their own activities while using a hotspot device, and parents or guardians are responsible for providing appropriate supervision of Internet usage by children or others with whom they may share access to any hotspot device on loan to their account.